For you novel writers, a really early (or really late) Christmas present here. For you writers sick of hearing about novels, feel free to skip this one, or at least bear with me. Last Friday, I sat in on an amazing panel featuring two agents, Jeff Kleinman from Folio Literary Management, and Ayesha Pande of Pande Literary. And I have to share. First, let me say that sticking a bunch of wanna-be writers in a small, airless room with two sought-after agents up front is kind of like putting 50 hungry lions before a couple of delicious, chubby toddlers. The room nearly vibrated with danger and longing. Thankfully, no one was harmed, except for me, as I furiously took notes until my little fingers ached. I learned some amazing things about getting a novel published, or not, and even a bit about pushing through a nonfiction book. Here are the most important concepts these agents talked about. VOICE: It’s all about voice. It must be distinctive and strong—for fiction or nonfiction. This word must have been said 30 times. Voice, people! Got it? Okay. Do you like your marshmallows burnt or slightly toasted? Do you wear pierced or clip-on earrings? Sound silly? Maybe. But with every answer your character gives, you should ask why. When he answers that, ask why again. And why, and why. Pretty soon, you should know more about this person you’ve created and what makes him tick. Crafting: Make sure there’s a clear arc in your storytelling. And pacing and momentum are key. Readers must want to keep turning the pages. “I want to miss my subway stop because I was reading your book,” Kleinman said. One way to keep the momentum going is to limit the backstory and exposition. It should only be given when the information is critical. As in, STOP, you have to know this before you go on. Otherwise, leave it out, or find a way to weave it into the action and dialogue. Length: No actual requirement, but when pressed, the two of them basically agreed the magic word count for novels is usually 100,000 to 120,000 words. Any shorter, it’s probably not fully fleshed out. Any longer, it probably needs tightening. Beginnings: Your opening is all-important to keep an agent reading. Think of Amazon’s “Look Inside” feature for books, where you can read the first few pages. This is literally how books sell now. If your best stuff is 100 pages in, you’re screwed. And something must be at stake right off the bat. Kleinman gave Garth Stein’s The Art of Racing in the Rain as an example. Narrated by a dog, the book opens with him lying in a puddle of his own urine. Right away, we know something’s terribly wrong, but what? And now we’re pulling for him, care about him, want to know what happens next. Queries: Keep them short, polite, to the point. Listing previous publications is important, as is providing any endorsements you can get. Praise from other published writers, professors, people who like your work and know what they’re talking about carry weight. Don’t tell an agent your mom likes it. Kleinman says your query should include a “logline,” or a one- to three-sentence description of your book. He used the movie Splash as an example: “Boy meets girl. She’s a fish.” First sentence should describe how your book opens, the second one its climax, the third one its resolution. His other tips for query letters: Whatever voice (see, there’s that word again) you’re employing in your book should come through in your query letter. If you’ve met an agent at a conference, or even the bathroom, open your letter with that. If you’ve read a book he represented and think yours is similar, mention that too. Pande recommends comparing your book to others. “This book is Twilight meets Life of Pi.” (Okay, that’s my example, not hers.) Or say, it is “written in the tradition of _________.” She says to beware of likening your book to a classic, though. Too much expectation. Here’s a dirty little secret they were kind enough to share: Some editors are often told not to even glance at a manuscript until they hear that another editor is about to grab it up. “They are like little lemmings,” Pande said. “They want to know it’s kind of a sure thing before they’ll even look at it.” I should note that she doesn’t agree with this practice, bless her. There’s something to be said for discovery, after all. Rejection: Kleinman says to make a rejection chart. List five or six columns across the top titled No Response, Form Rejection, Personal Rejection, Request for Partial, Request for Full. Down the left side, list agents separated into three tiers: Dream Agents, Okay Agents, and Least Appealing Agents. List three or four agents under each tier. Now send to all of them. Give them six to eight weeks to respond and keep track on the chart. If there’s no response, you’ve gotten your answer. 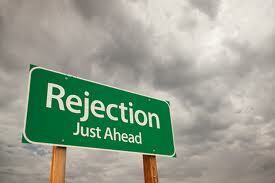 If you get a form rejection, it means your premise or your writing isn’t strong enough. If they send a personal note and say they liked it, but still decline, that’s a better sign that you’re on the right track. If they ask for more (first 50 or 100 pages) that’s better still. If they ask for a full, then the premise is really good. If they still reject it, then they didn’t fall in love with it, and then the problem is almost ALWAYS that the MAIN CHARACTER IS NOT STRONG ENOUGH. So there you have it. I hope you find this all as enlightening (and frightening, and overwhelming and pretty darned thrilling) as I do. Anyone have suggestions on characters? What do you think makes a strong one—an incredible one? And unforgettable one? All tips appreciated. I’ve got some work to do. The hard truths nobody wants to hear! Thanks for sharing this, Cathy. enlightening, frightening, overwhelming, pretty darn thrilling… And how. Thank you for sharing this experience with me, Cathy. I really appreciate it. I need to watch the flashbacks. Do you think by strong they meant fleshed out and vivid? Or tough and admirable? Or being the force that moves the narrative? Interesting. I think fleshed out and vivid, certainly, and above all, absolutely necessary. I like the idea of saying to a reader, “Stop, you can’t go any further until I tell you this!” It’s a good test for your flashbacks. Are they really that important? Hey there – I was at that panel and wish so much I had known you were there – I would have so introduced myself. Dang it. Thanks for the wonderful summary! Thanks for the summary! I am going to go back and look at characters in some of the novels on my bookshelf, and see if I can identify some characteristics that make them so compelling. Great idea. If you get some good insights, please share! Great advice; now I know how to revise me query letter. Thanks for sharing. So glad we could help. Best of luck with your query! Read ‘Getting into Character’ by Branilyn Collins. We love book referrals, especially anything to do with crafting stronger characters. Thanks for the feedback, Ruby! It will change your writing life. Cooking on a spending budget is really important to several family members in today’s economic weather. in this county. ” As previously documented, the album is a assortment of protect tunes and is scheduled for launch in the U.
I know I am getting knowledege all the time by reading thes pleasant articles.